Over the years, I haven't been one to splurge on Chinese New Year shopping for clothes and apparels. This year is a bit different though, as I stumbled upon some of the many online shopping portals out there. 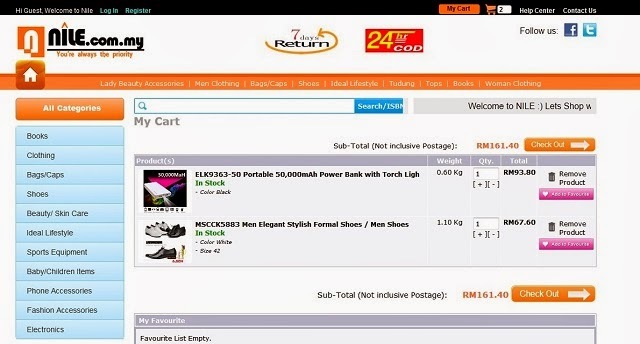 I was introduced to Nile.com.my, a Malaysia online shopping portal, selling a wide range of apparels and products. Check out my experience below on buying a rather cool shoe, and a powerbank for my aging iPhone. Nile.com.my provides a wide range of products - English/BM Books, more than 550 types of woman clothigns, more than 800 types of Men Clothings, Trendy Caps, 75 types of men bags, 246 types of woman bags, 114 types of men shoes, 124 types of woman shoes, beauty accessories, Men Skin care products, decorative household items, sports equipment - dumbbell, pushup bar, yoga items, Power bank- highest 50,000 mah, Fashion accessories >230 types, Electronics products -cooker, oven, fans and many more. It was a pretty easy transaction, where I just had to browse for the item I want, and proceed to checkout in four simple steps. One thing which caught my interest was the fact Nile.com.my had this 'Low Price Guarantee' clause, where if you have made an order through Nile.com.my and then show them that you could purchase the same items at a lower price that is viewable and bookable on another website, they will either match that price or beat it！In addition, the good folks from Nile will refund you the price differences. Frankly speaking, I did not really have a need for clothings, as I've done my Chinese New Year shopping earlier. It was a good thing I could source for a nice pair of shoes though, and I've always wanted a pair of white shoes. A few clicks, and it is safely in my 'cart' on the website. The status read 'Ready Stock', which is another interesting aspect of Nile.com.my. I will be explaining on that later on in this pose. The second item I purchased from the site was a powerbank. 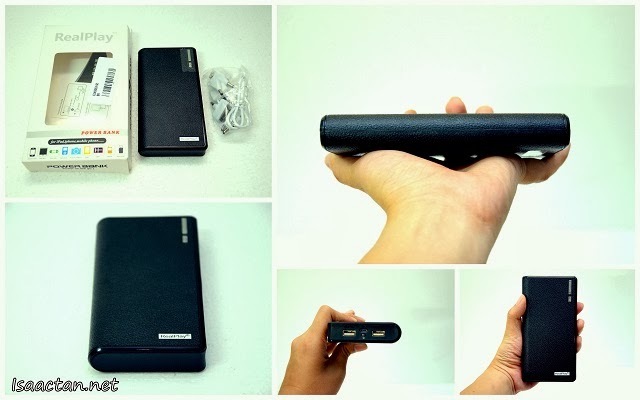 In this age and time, I start to feel the need for a powerbank to keep my smartphone and gadgets alive, as I am always switching on these devices, draining their juices pretty quickly. 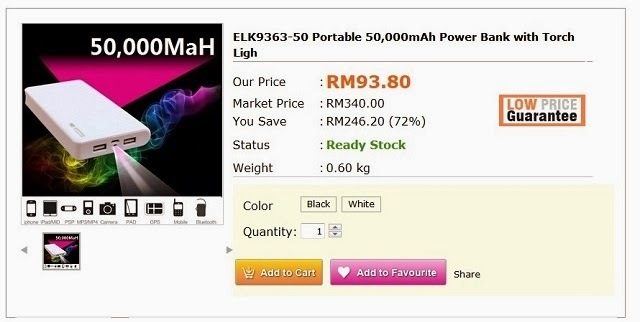 The Powerbank sold on Nile.com.my, had a capacity of 50,000MaH, which was pretty big. Having two USB ports and a quick charge, with LED indicators were good features too. I doubt the capacity is actually 50,000MaH though, but it should at least retain it's charge pretty well judging from the size of this powerbank in my hand. Coming back to the 'Ready Stock' status, all items on Nile.com.my are ready stock - unlike most of the online shopping portal who are doing pre-order or only order from supplier after customers place an order, all items in their website are ready stock in their warehouse. Nile.com.my ships out immediately upon a confirmed order and surprisingly I got my purchased items the next day itself, well within their 1-3 days promise. We can choose to pay via bank transfer, pay upon delivery with their 24 Hours Cash On Delivery service or pay with credit card. With and addition of RM10, I chose the 24 Hours Cash On Delivery service, which was pretty cool. This meant I only need to pay upon delivery. Now that I have my powerbank, and the white shoes complete my Chinese New Year look, here's looking forward to more prosperity and luck this new year! Do check out Nile.com.my, one of the emerging unique Malaysia Online Shopping Portal to date if you're on the look out for some last minute Chinese New Year clothing. 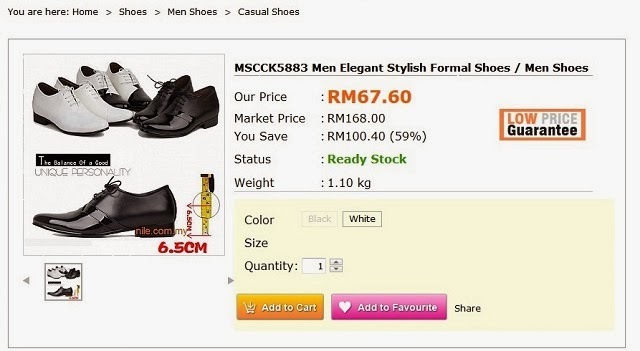 They're currently having a promotion this CNY, free delivery with any purchase more than RM48. Happy shopping, and Gong Xi Fa Cai people.